No craft requirement seems to bug out after a while. I'm not playing the game under steam, maybe that makes a difference, do not really know. Also the game is launched in 64bit mode. Can u pls update it for hotfix 3. Almost all tables doesnt work. 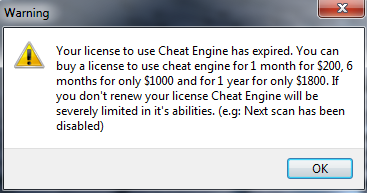 Because this update version is 32bit only, while the cheat table (the last version) is 64bit only. That's something that I can not handle in anymore, the devs yo-yo. I'll try to update the game again but it will be the last time, sorry. Just checked and it seems that CT Update 7 is 32bit so I'll take it to make the update. just wanted to say thanks dude, even though not all functions work without causing issues, the build without materials has helped me out a lot. so once again I appreciate your hard work.